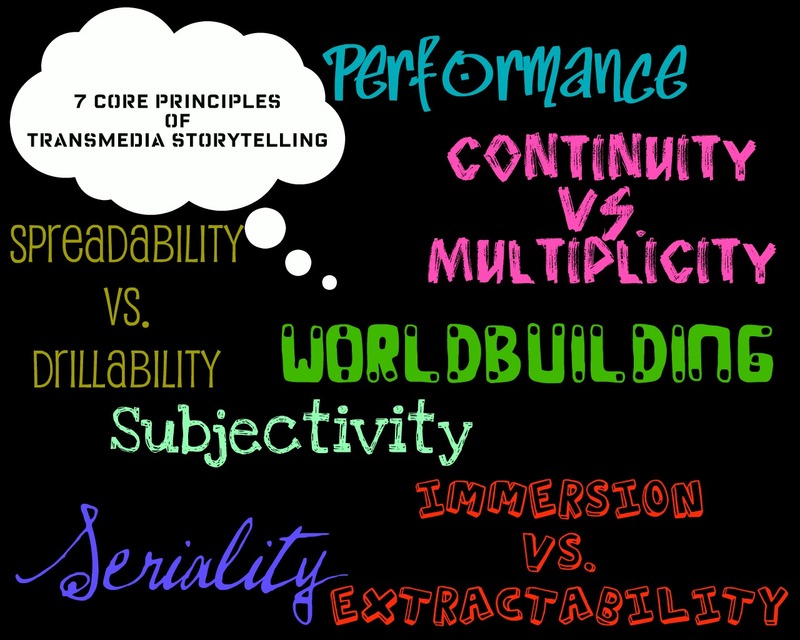 Transmedia storytelling, defined by media scholar Henry Jenkins as a "process where integral elements of a fiction get dispersed systematically across multiple delivery channels for the purpose of creating a unified and coordinated entertainment experience," has been rapidly adopted by the media industry as a narrative model. Equally motivated by the conglomeration and horizontal integration of the media industry, and a desire to craft more participatory experiences for spectators, transmedia storytelling discourses now move fluidly between the academy and media industries. To present keywords and principles that might help us conceptualize "transmedia scholarship," speculate on argumentative affordances, engage with barriers, and offer examples of these principles in practice. To engage with the potentialities and limitations of emergent platforms, like Scalar, that might facilitate procedural scholarship or aide in the construction of transmedia scholarship. Because this project was conceived as a series of terminological provocations, structured around keywords and principles rather than limited as a rigid linear argument, the material is presented here with minimal suggested directed trails through the content; it is our hope that each reader will explore the gathered material in her own way, mapping new routes and generating new connections on each visit. Through this resistance to linearity, it is our hope that the project embodies the transmedia ideal of the refusal of traditional textual hierarchies. Principles in Practice: Mark Sample's "Hacking the Accident"
Principles in Practice: USC's Pervasive Game "Reality Ends Here"
Discussion of "Conceptualizing Transmedia Scholarship"
Version 26 id 30040 of this page, updated 06 January 2013 by Monika Kin Gagnon. Created by Chris Hanson.